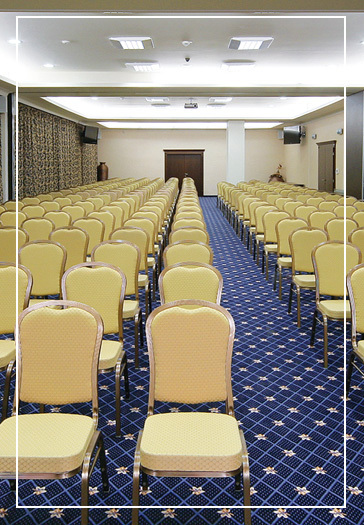 Residence Hotel & Club is convenient venue for seminars, trainings, conferences or corporate events. There is Grand Residence, a conference room, at the hotel with the capacity of 250 seats which can be divided into two small conference rooms – Residence I and Residence II – with the capacity of 120 and 80 seats. An interesting place for trainings may be the lounge PANORAMA on the top floor of the hotel providing a unique view of the surrounding mountains. The lounge with the capacity of 30 seats is also suitable for private celebrations and the organisations of small events. In case you are interested in more training rooms, we are able to arrange also other rooms of the hotel to suit your requirements. Thanks to a variable space arrangement, we are able to prepare rooms with the capacity up to 350 seats. According to your requirements, we are able to provide you with catering services as well. Every offer is made individually and we may arrange programme for free time and outdoor activities.